Energy Assist is an Australian owned and operated company with experience in the solar power industry since 1994. Our focus is creating a high quality solution that is right for you, your property and your budget. We listen to your needs, analyse your bills and engineer the right system for you. How do we do this? We pride ourselves on educating our customers on solar power to ensure they understand exactly what they are investing in. We have our very own Showroom & Testing Facility located in Croydon where we have multiple systems installed, operating and monitored. At our facility we test the panel performance and compare panel to panel by reviewing our monitoring results. We have panels and inverters on display so you can visualise the components that make up your whole solar system. Here at Energy Assist we install all types of solar power from residential systems to commercial systems as well as on and off grid battery backup systems. We have installed a huge range of system sizes from 12 panels all the way up to 1,600 panels. So for all your solar power needs contact us today for great advice, great packages and great installations. Of your 3 quote request companies only 1 quoted they had a different view of the hardware and that virtually eliminated them. Very happy with Horst, the salesperson and installer. Always keeping me informed of progress and followup. At this point in time we are up to the install part- currently happening. Customer service so far has been good. Installers seem competent and arrived on time. Energy Assist were recommended to me by a colleague who had them install a microinverter-based system at his place. He told me that their pricing was good but that the main reason he went for them was that they were knew their stuff and were willing to work with him and answer questions. Happily, my experience was the same. Of the five companies that quoted, Energy Assist were the equal-cheapest and on top of that they answered all my questions thoroughly and promptly, gave me great advice, and were generally a pleasure to work with. They also did a neat job of the installation. I have no hesitation in recommending them. No fuss great communication they took time to explain how it all works and best practices to get the most out of it. The installers Jerome and Chris were very efficient with the installation and paid careful attention to the requirements of my body corporate. They were also willing reduce the cost of the install when we decided not to add tilts due to body corp constraints. Dealing with Adrian has been a breeze in terms of easiness or asking questions or getting any issues resolved. The system was installed in Mid September and initially had some small technical problems (like you can expect with any new technical products) but Adrian and his team resolved them quickly, once I raised it with them and that is where I liked the effort as now I can know the team behind the company actually cares about the customer rather than just selling something and move on. Dealing with Adrian and the team was great from start to finish. The workmanship done on the install was of a high standard and faultless. Having recently installed a pool and deciding on the option of heating it with a Heat Pump (reverse cycle A/C) we were always intending on installing PV panels to cater for the energy that used over Summer. I wont pretend we were not initially stunned by the amount of energy the HeatPump (along with the pool pumps) actually ended up using. We quickly realised that getting a Solar solution was a mandatory aspect of our pool setup not a "nice to have". What is brilliant is that our usage is perfectly aligned with the output of a solar system and having large east and west facing roof space we will be able to extend our production across a wider period each day allowing us to maximise our personal usage of the solar power. Hopefully! 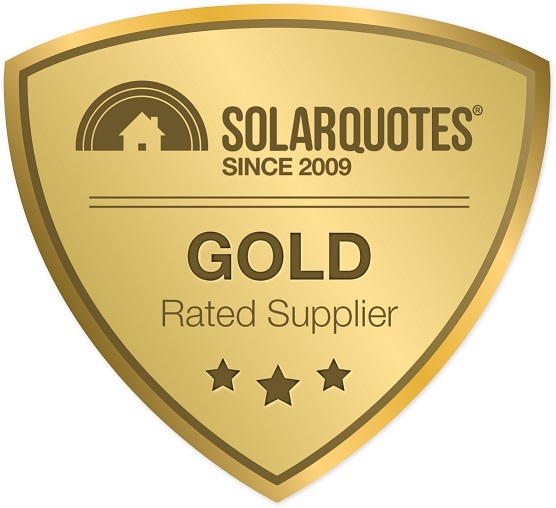 Contacting solarquotes and getting the 3 providers they recommended has been great. The only difficulty was differentiating between the excellent service from all 3 providers and deciding on what solution was going to work best for us without over investing and spending more than was absolutely necessary. In the end we have decided on a SolarEdge SE7300 inverter with 34xJA Solar 290W smart panels totaling just under 10kW. Obviously the inverter is well under the maximum capacity of the panels but since the panels will be split across the East (x14) and West (x20) roof spaces we understood that this would only clip very occasionally. We will wait and see over Summer! It was difficult to determine if we were making a mistake here though as another provider made a very strong case for installing 2x5kw inverters to ensure we got the most out of our panels. In the end we decided (pretty much based on our own research) that the problem with that configuration was that if our 20 west facing panels (5.8kw total) ever ran at full capacity a 5kw inverter would need to clip the output where the 7.3 will not. It was not a huge factor but the other thing that influenced our decision was that the solaredge we decided we wanted to go with was the primary recommendation from the provider we chose where the others were primarily suggesting different products. Dissatisfaction with other companies, one would not visit until after we paid a deposit, another looked at Google photos and said they could not help us due to shading issues, I suspect they were using outdated photos, another basically was not interested in a system with a battery and kept trying to dissuade us rather than discussing our ideas. Note we did get the name of Energy Assist from you after I emailed and complained about the company that would not visit without the payment of a deposit. Dealing with Energy Assist has been hands down the very best experience we have had not only the in the solar panel industry but the best small business we have ever deal with!!! Courteous, prompt, knowledgeable, competitive and honest all because they have a great team of passionate staff. Our installation looked fantastic with the tradesmen going the extra distance to conceal the cabling on our new house.